I didn’t realize just how much I really missed you until I was in the store shopping for Easter gifts for the kids and a lady walked by me. She reminded me of you in so many ways, but the first thing that got me was her perfume. The perfume she was wearing is one that you wear or wore at one time. It lingered around every corner and aisle that I walked. As soon as I got away from it she was just around the next corner and it the familiar scent was back pulling at me… my heart… and my memories of what was. She was probably close to your age. She too was shopping for the upcoming holiday…. maybe for her grandkids. She was shorter than you but a similar share and she styled her hair like you did when it was shorter. She had her face fully made up… just like you. Never leaving the house without makeup. There was so many things about her that reminded me of you. So many memories came back… it was good to remember and at the same time it was painful because you’re not part of our lives like that. I miss you. More than you will probably ever know. For a little while I had you back there with me and it was like we were shopping together again for the kids like we did once so many years ago. Funny thing… it was for Easter too, right after Lauren was born. 11 years ago. It was an emotional shopping trip and I did what I could to hold my emotions in check and move on with what I was there to do. I was sort of glad when the lady left. She left, but the memories are still there. I wish you’d come back. I wish you were a regular part of my life…. part of my kids lives. Do you miss your grandkids? I’m linking up with Shell from Things I Can’t Say this week for Pour Your Heart Out. My intention was to start sharing some of the pictures and all that from our week in Florida & time at the Disney Parks but I just couldn’t come up with anything. Not with this pulling at my heart. It’s hard when your mom isn’t part of your life… it’s hard when you know that she is out there living her life. It’s even harder when you have no idea why you’re not part of her life anymore… whether you did or said something wrong. No matter how old you get your mom is important… mine is important. I just don’t know how to mend things… especially when I don’t know what’s broken. What is the earliest birthday party that you remember? How old were you? And what details can you remember from it? For me it’s my third birthday. But that was so many years ago that it’s amazing that I remember so many of the details about it. 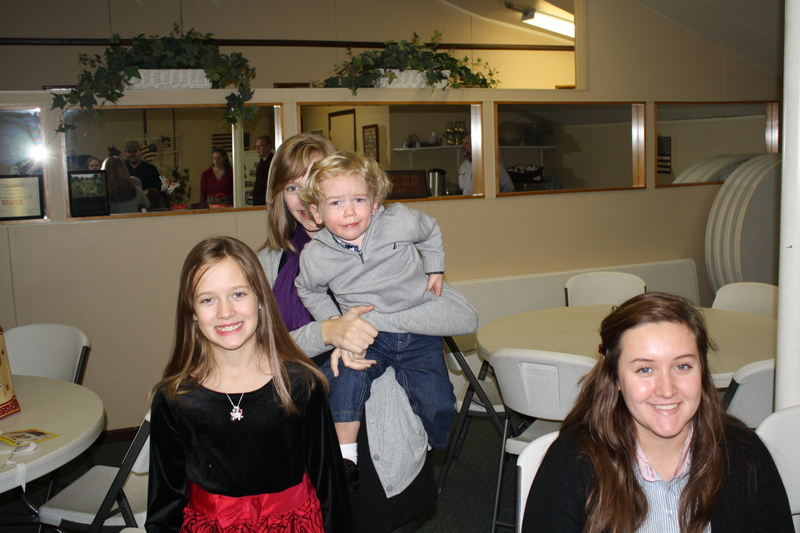 My parents were still married at the time and had invited our entire family to the party. I remember the itchy dress that my mom put me in that day, the ponytails with with fuzzy ribbons that held my hair back, and my family. It was a pretty good day considering I was only three years old. I don’t remember a lot of decorations or anything like that but I do remember the double layer chocolate cake that my mom made, the three candles that were placed carefully on it, how my parents stood by me as my family sang happy birthday to me, the gifts, and the fact that my cousins told me exactly what they got me. Before the cake was eaten and the gifts were opened my cousins told me that they got me a brand new pack of crayola crayons and two coloring books. I don’t know why I remember some of these little details but I do and they’re so special to me. They’re memories that I hold on to tightly, never wanting to forget. So what about my kids? Will they remember their birthdays with the same fondness that I do? Will they look back one day and think about their birthdays and the family, friends, the cake, and the gifts? I hope that I’ve done everything that I can to make birthdays fun and memorable. 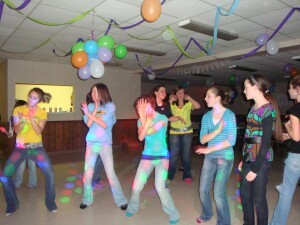 My oldest daughter had a big bash for her 13th birthday party complete at a hall with balloons, snacks, streamers, and a DJ. Why? Well, because you only turn 13 once in your life and it’s one of those moments that are important… memorable… and special. 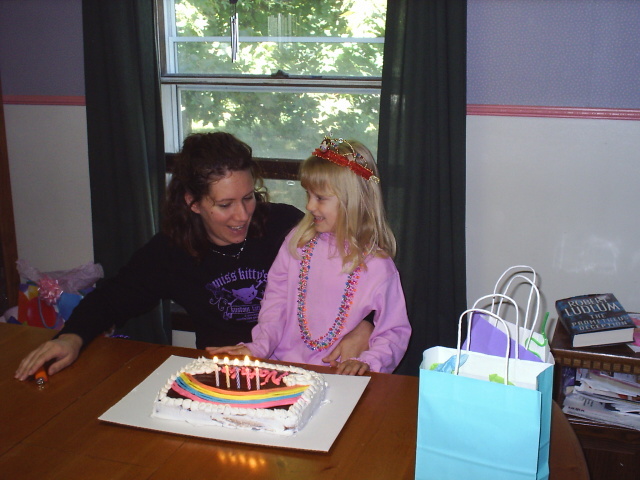 I’m hoping that for her 16th birthday this year we can do something equally special but I’m having a hard time talking her into doing something. Every year for the girls birthday I let them decide what kind of cake & party they want. For Natalie’s 4th birthday she wanted a chocolate rainbow cake and that is exactly what I made for her. 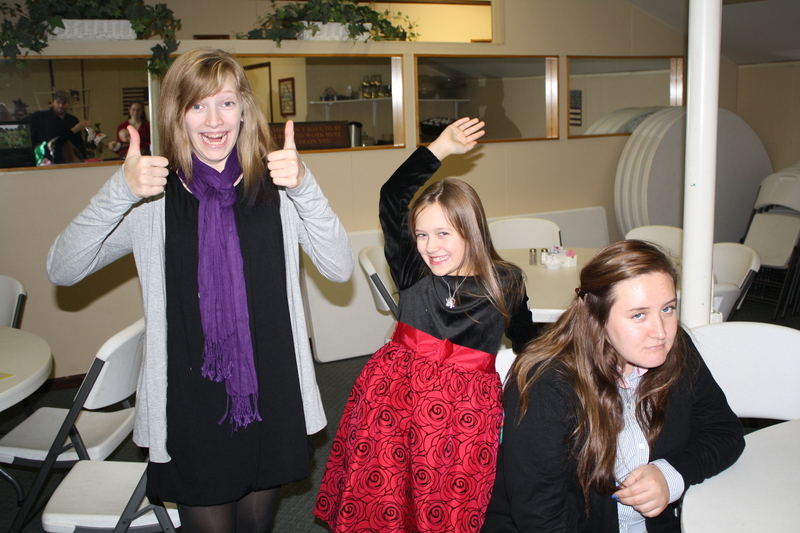 I love looking back at these pictures and seeing how young they were and how much they’ve grown over the years. 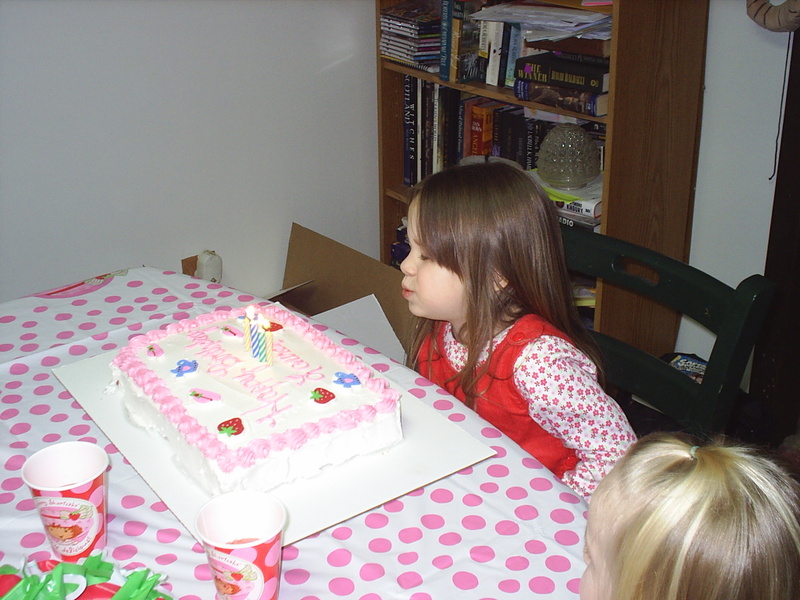 Lauren loved Strawberry Shortcake and everything had to be Strawberry Shortcake for her birthday that year! Even her dress was Strawberry Shortcake! What you can’t see is all the other decorations, cupcakes, or the fact that the cake was strawberry too. As I look at this picture I wonder what it is that she wishing for. I’m sure that it had something to do with her gifts or all the things she wanted to do. What do you do to make birthdays special for your kids? I’ve been missing for a while from TRDC prompts and really have no reason why, but I’m jumping back in today. Many years ago when I was just a little girl my family and I used to take long weekends and go up north to St. Helen, Michigan to visit my grandparents on my moms side. I loved going up there for so many reasons, but most of all I got to spend some time with my grandparents and usually got away with a lot more than if I were at home. Every evening after dinner (often polenta, sausage, and a marinara sauce) I would take a bath and use the Irish Spring soap, the traditional green and white marbled bar. Even today the smell brings back all sorts of fond memories of my grandparents house and the times that I spent with them. After my bath my grandma would french braid my hair into two long and really tight braids on either side of my head. I’m amazed at how tight she was able to get them! Seriously… sometimes it hurt. But I endured it because I loved the way they looked so much and my mom couldn’t braid. Once all of us kids were in bed the adults would all gather in the kitchen with their snacks and wine to play Yahtzee. They would all take their seats at the table, passing out the score sheets, pencils, and gathering the cup and dice at first. And this is when the fun started. They’d shake the cup letting the dice rattle around a few times before letting them roll out of the cup and on to the table all in hopes of getting that elusive Yahtzee. Again and again the dice would be tossed into the cup, rattle around, and then fall onto the table. So many times I would get up and tell them that I couldn’t sleep because of the dice, but really I just wanted to watch or even to play with them. Of course I was always sent back to bed where I would lay and listen to the fun. As the night progressed they would laugh, talk, and carry on. Always having a great time and yelling out “Yahtzee! !” in a gleeful manner when someone managed to get the five dice to all have the same number showing. They would play well into the night it seemed or probably something closer to 10 or 11pm. 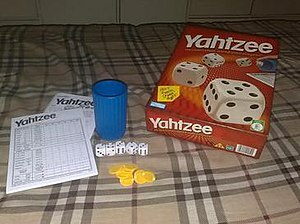 During the day my grandma would pull out that old Yahtzee box and play with us kids. I remember the box, it was worn very much use throughout the years and held shut by a single rubber band. We would have so much fun playing with my grandma. As I think back of all the times that they played I can still hear the sound of the dice rattling and my mom laughing. Looking back things were much simpler then. I remember this so well and it’s such a fond memory that even today my sister and I love to play it when we get together.